Pawna lake is an artificial lake formed from backwater of Pawna Dam. this lake is popular for camping near lonavala, there is too much public come from pune and mumbai on every weekends to get camping experience. pawna lake camping is best option for couples to go for night camping on weekends. This place is near lonavala so i'ts btween pune and mumbai city. following are the best camping site on pawna lake I have listed. Pawna Exotica camp is very nice place to enjoy sunset. This site is very close to Pawna backwater. You can enjoy weekend with your family and friends. we will do special arrangement for your birthday, anniversary or any special event on request. Pawna Lake camping is not only about the pristine lake! Enjoy barbeque sessions beside a lively bonfire, enjoy star gazing & lot more. Lakeside Camping: The perfect soothing ambiance in the lap of Nature at Pawna Lake: Live Music, Live Grill, Tent Stay, Boating, Best Food, Best Time. Staff were Great! Late night dinner was delicious and a yummy breakfast! Views were spectacular...summer season so the water level was low. No swimming. The morning sun pulls you out of your tent early! Some late night parties...so bring your ear plugs. The road in is quite rugged, heads up! Everything you need is provided for a lovely Indian camping experience. Near yet far away from the crowded Lonavala city, you can camp here with us and enjoy the nature at its best.The beauty of the nature takes away all your city stress and rejuvenates you. Perfect for a relaxing break, engaging fun activities and games with your family and friends. Pawna lake camping is an opportunity to all outdoor lovers, we have the best Pawana camping locations near Pune & Mumbai. Pawna lake camping is a activity of spending a holiday living in a tent. Some times city life can a bit much. You need respite with some green space, lake water, fresh air to clear the mind. A quick weekend escape can do wonders to recharge the battery.And you would be surprised to many excellent pawna camping location are just short drive from Pune, Mumbai. All the pawna lake camping locations are perfect for family, children, couple etc. Usually people come here to enjoy their weekends. Camping at Pawna lake involving overnight stays away from home in shelter such as a tent. Pawna lake Camping can be enjoyed through all four seasons. Benefits of Camping: Camping leads to increased exsercise. Camping naturally means you’ll get more exercise, and many of the health issues we face today are related to being too sedentary. Setting up the tent, hauling out your gear, gathering wood, fishing, hiking, and swimming are all considered exercise – although most of the time you’ll be having so much fun you don’t even realize it’s exercise! There are three different types of camping opportunities in the India. Recreational Camping for people who want all the comforts of home, primitive camping for those who enjoy closer contact with nature and wilderness camping for the more adventuresome. You can find wide ranges of camping facilities all across the India in each of these categories. Recreational camping is available at pawna lake. Most of these facilities include clean western toilets, Mineral water for Drinking, Tents including blanket, foam mat, Pillow, Bedsheet, music system(Trolley Speaker). You can pitch your tent at such a facility and it would be great, less expensive. Pawna Nights offers many upscale recreational campgrounds near Pune and Mumbai. All of our facilities are usually very nice, very clean and well equipped. Camping in Pavana is a unique experience combining adventure and convenience of being closer to Mumbai and Pune. The lake brims with water throughout the year and is quite secluded place at end of Pavana dam. The campsite is located 20.5 km from Lonavala. 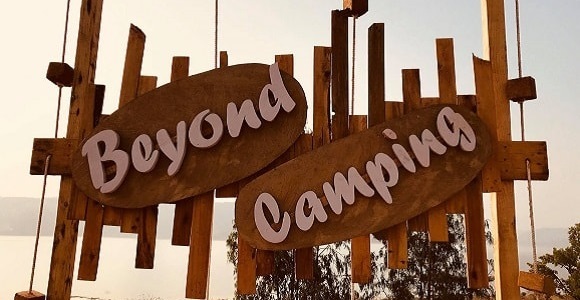 Campsite comes into its own during the post monsoon with an abundance of lush foliage.The best time to camp is in the winters, which extend from November to March, with night-time temperatures ranging from 12-15 degrees. That's all the more reason to cosy up to our campfires. After the extended winter, summer lasts for just two months between April and May. Even then, the weather is a pleasant 18-20 degrees during the day, and the evenings are surprisingly chilly. Letscampout provides premium weather-proof tents outfitted with comfortable foam mats that guarantee sound sleep and complete protection from moisture, insects, and other unsavory bits of nature. Answering the call of nature, well, in nature doesn't have to be embarrassing an inconvenient. We have dry toilets tents equipped with western commodes offering you privacy and hygienic sanitation. Foodies are in for a treat with our elaborate dinner and breakfast menu incorporating traditional style of cooking. The evenings are spent round the warmth of our campsite barbecue offering delicacies cooked right in front of your eyes. Our adventure activities use the challenging terrain offering kayaking post rains and team building games for corporate. There's nothing like a round of beers (see FAQ) between a game of darts between friends. Classic board games such as chess, snakes and ladders, Monopoly, and Scrabble provide entertainment for kids and adults alike. If all you want to do is listen to the birds chirp, our campsite is dotted with hammocks for relaxing to the greatest soundtrack ever — that of nature. Enjoy affordable camping at Pawna lake. Enjoy bonfire, barbeque, music & more. Package available for all budgets. A sapling laid by a young, dynamic and maverick husband-wife duo - Bhavin and Apeksha, Beyond Camping has now branched out to various travel and peace-loving aficionados. Where the bustling streets make it difficult to relax, loud horns make your mind go dizzy and long queues makes you question your sanity, Beyond Camping helps you ease these bothering issues. This beautiful venture was founded in 2016 by Bhavin and Apeksha- IT professionals since 5 years and a passion for Camping and Adventure. This DNA of traveling has led Bhavin to experience raw adventure camping, commercial camping to the hilly ranges of Sahyadri’s to the rocky paths of Pune. Bhavin always travelled in his leisure time to satiate his travel bud and was soon joined by his love- Apeksha.